Free Download 20,000 Leagues Under the Sea: Captain Nemo Game or Get Full Unlimited Game Version! 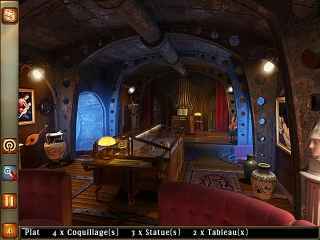 Help Captain Nemo's three captives escape from the Nautilus in 20,000 Leagues under the Sea, a fun Hidden Object game! In order to get advantaged of playing 20,000 Leagues Under the Sea: Captain Nemo full unlimiteg game version you must register the game.